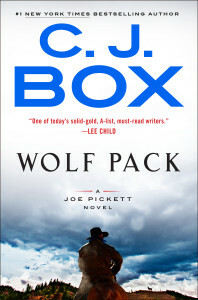 Joe Pickett Strikes (The Bestseller Lists) Again! We’re so pleased to share that WOLF PACK will debut at #2 on the New York Times Hardcover Fiction List and on the New York Times Combined Print and eBook List! It’s also #3 on the USA Today list and an Audible, Apple iBooks, and Indie bestseller! This entry was posted on Wednesday, March 20th, 2019 at 5:24 pm and is filed under Uncategorized.